Sony Ericsson today announced the upcoming availability of an Android smartphone Xperia Neo at the mobile world congress Barcelona. Sony Ericsson Xperia Neo is based on Android 2.3, and it is closely related with their CES announcement Ericsson Xperia Arc in terms of its specifications. The device has a newly designed Sony Ericsson TimeScape/MediaScape UI and has Android OS 2.3 Gingerbread features. Xperia Neo has a 3.7 Reality display, a latest Sony Ericsson display innovation the brings exceptional image quality at lower battery consumption. It also features the Bravia Mobile technology for crystal clear videos and images using special processing algorithms. Sony Ericsson Xperia Neo has an HDMI port that could be used to connect it with HDTV, and it also support instructions from standard remote controls. The external design of Xperia Neo is very pleasing from all sides. It’s a fit to hand device specially designed for taking images. There is an 8MP camera that comes with Sony’s Exmor R sensor for better pictures at low- high light conditions. The front aligned 2MP camera can be used for video calls. Xperia Neo has 320MB of internal memory and up-to 32GB Micro-SD card support and 8GB card is included in the package. The device uses a Snapdragon 1GHZ processor. The price of Sony Ericsson Xperia Neo was not announced at the press event. But we hope that it won’t exceed the normal Smartphone price plan @ $199 in USA. 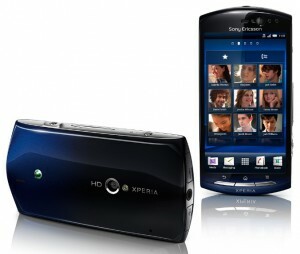 Xperia Neo will be available in selected countries from Q1 of 2011. We will update you with more details as soon as they are made available.